In 2009, the U.S. government passed the HITECH Act, which mandates that by 2014 doctors and hospitals must be using a certified EMR/EHR system. To assist all health care professionals in becoming EMR compliant, Health-o-meter Professional developed the Elevate EMRscale. The Elevate-C/L Health-o-meter Professional Digital EMRscale is currently the only scale on the market that is EMR connected and compliant. 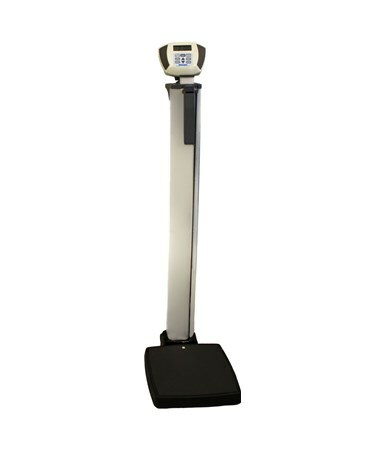 The Elevate scale model electronically gathers the weight, height and BMI, and transmits this information to the EMR/EHR systems through Welch Allyn Vital Signs® LXi or Welch Allyn Connex® Vital Signs monitors. 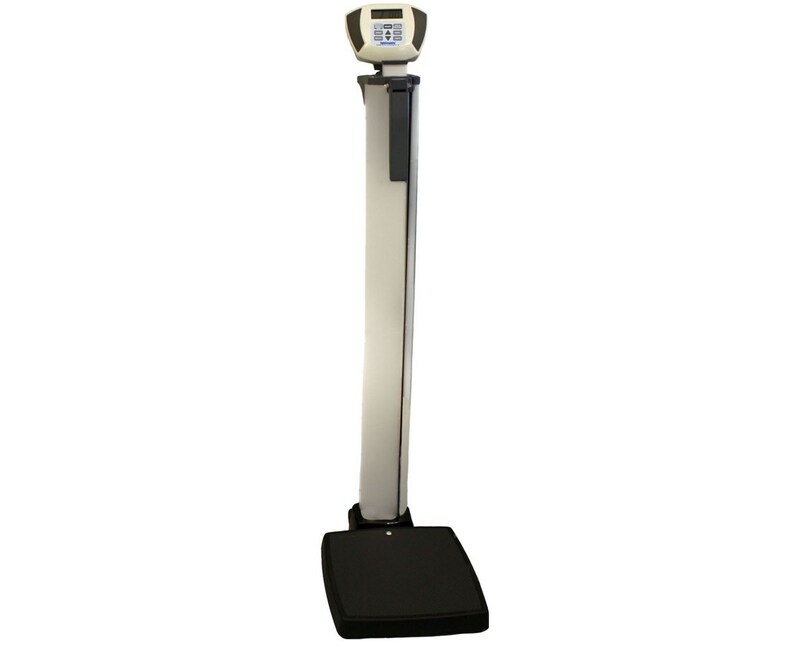 The Elevate scale includes the many features that you may have enjoyed with other Health-o-meter models. This highly accurate scale has a digital height rod, so you can easily and quickly calculate height and weight to receive BMI details. The 1" LCD display has 35° left/right swivel capabilities (350° when height rod fully retracted) for convenient and easy reading. The features consist of the following functions: BMI, Zero out/tare, Hold/release, Auto zero and Auto-off functions, LB/KG Lock Out. This deluxe model has wheels for easy mobility, and you can power this scale with a 120V adaptor which has been included for your convenience. Alternatively, you may use 6 C-cell batteries (not included). The Elevate-L integrates with (and includes an adaptor for) the Welch Allyn Spot Vital Signs LXi, and the Elevate-C integrates with (and includes an adaptor for) the Welch Allyn Connex Vital Signs Monitor. The Elevate-BT has Bluetooth, while the 600KL has Bluetooth & Welch Allyn Connex VS Monitor Connectivity Kit. If your needs do not include the Welch Allyn Vital Signs device, you can purchase this scale alone by choosing the 600KL model above. With the upcoming implementation of the HITECH Act in 2014, purchasing this accredited scale is guaranteed to save you valuable time and money, while other health care professionals throughout the country will be struggling to update their systems. With a 2 year warranty, Health-o-meter is here to guide you through the new EMR systems, and looks forward to providing many years of service. Platform 14.75” x 14.68” x 2.25"
Height-Rod Range 28" - 88"
Overall Measurements 14.75” x 22.68” x 54.25"